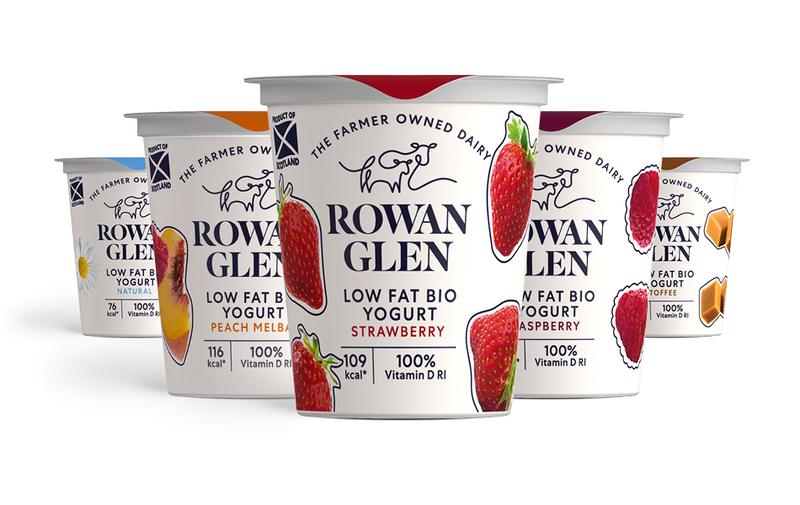 Rowan Glen Low Fat Bio Yogurt is one of Scotland’s favourite homespun brands, made at our farmer-owned dairy in the foothills of Galloway’s National Forest Park. Here, milk from our trusted farmer co-operative is carefully combined with the finest fruits to make yogurts for all the family. 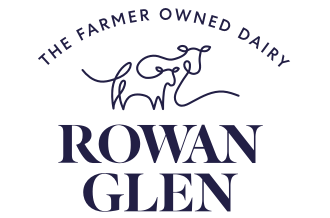 Rowan Glen Low Fat Bio is low in fat, a source of protein and Vitamin D, and it comes with live yogurt cultures to help support a healthy digestive tract. We get our fair share of cloud in Scotland. 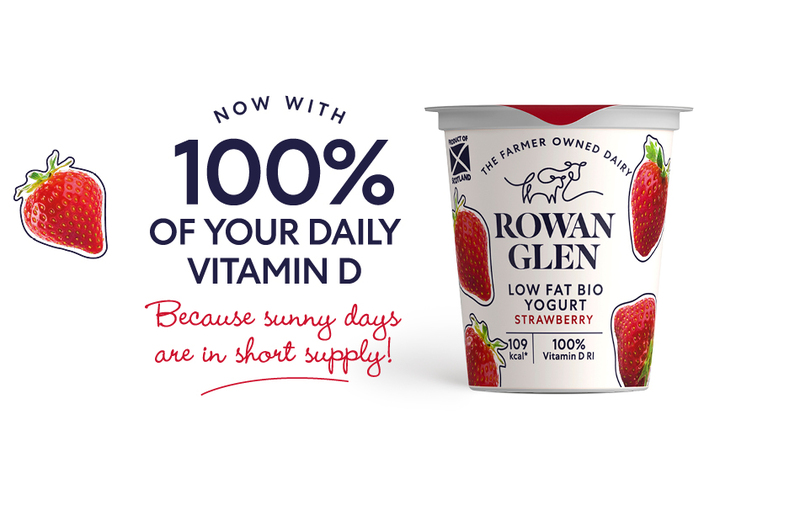 That’s why we’ve enriched our Rowan Glen Low Fat Bio Yogurt with Vitamin D, also known as the Sunshine Vitamin. It means you can enjoy a great-tasting yogurt and get 100% of your daily Vitamin D with one single pot, helping to support your energy levels, immune system, bones and teeth. 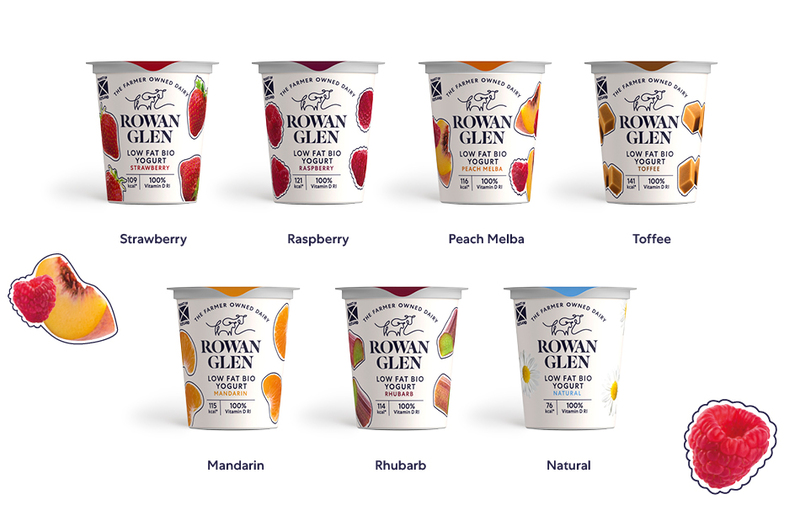 Rowan Glen Low Fat Bio Yogurts comes in a range of seven flavours from Natural to Toffee and Strawberry to Peach Melba. There’s something for everyone, with all the benefits of being low fat, bio and with 100% of your recommended daily intake of Vitamin D.
Next time you’re in Asda, Tesco, Morrisons, SPAR or Sainsbury’s, pick up deliciously wholesome Rowan Glen Low Fat Bio Yogurt. And for news, recipes and tips, follow Rowan Glen on Instagram and Facebook.